It is recognised that many health issues in the workplace can be attributed to stress. Excessive and prolonged stress compromises the body’s health systems by placing them under more strain than they are designed to cope with. The effects of this type of stress on the mind and body often manifest as lowered resistance to illness and injury. This then translates to absenteeism. It has often been suggested that if stress can be reduced in the workplace, then productivity will increase as illness decreases. In fact, much of the medical fraternity believes that up to two thirds of visits to General Practitioners can be related to stress. 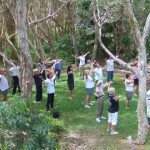 The Australian Academy of Tai Chi & Qigong has been delivering stress control programs for many years. These are based on martial art exercises, conflict management strategies, and postural and balance skills. 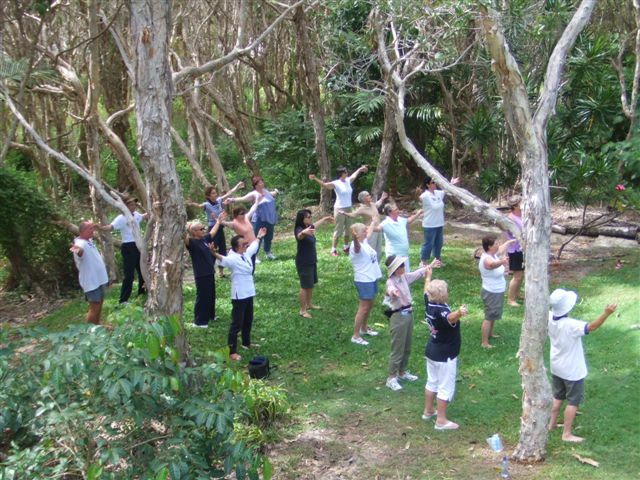 Even though many of these skills are normally reserved for martial art training, our programs are suitable for all participants as individual exercises are taught in an easy to follow format. Our experienced instructors are able to relate skills to various workplace situations, which can then be applied in the workplace as required. Consequently the participant is able to hone and share their new skills back in the workplace. This can lead to an improved workplace environment with positive stress management strategies.